Every month, AeroAnalysis International covers the orders and deliveries for Boeing (BA) and Airbus (OTCPK:EADSY, OTCPK:EADSF). Now, there’s a lot more than just orders and deliveries. Some subjects are worthy of more detailed analysis, and some are not. The subjects that are not are not necessarily unimportant. Therefore, AeroAnalysis has been running a monthly series that bundles some of the most interesting news items that do not justify a separate article or deserve to be mentioned again. You can read the February report here. In this report, some news items from March will be highlighted. 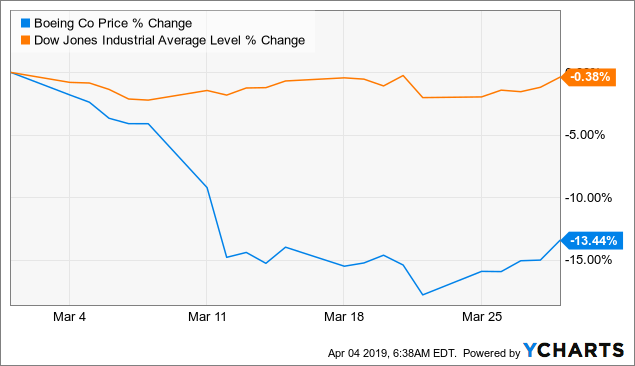 In March 2019, Boeing’s shares lost 13.4% compared to a 13.6% gain a month earlier. Boeing’s shares significantly underperformed the Dow Jones, which was flat for the month. The reach for the downward pressure on Boeing shares during the month is clear: The crash with the Boeing 737 MAX 8 from Ethiopian Airlines marking the second fatal crash. Argus initially gave Boeing shares a $460 with a buy rating but reverted to a Hold rating after the Ethiopian Airlines crash with a $371.30 price target. Edward Jones downgraded Boeing shares from a Buy to Hold with a $300 price target. 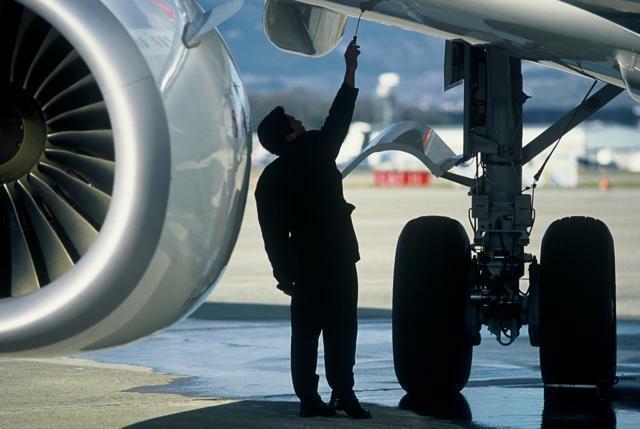 DZ Bank downgraded Boeing shares from a Buy to Hold with a $300 price target. Norddeutsche Landesbank set a $300 on Boeing shares with a Sell rating. Tigres Financial reiterated its Buy rating. Citi Group resumed with a Buy rating. What we did see in the aftermath of the second fatal crash with the Boeing 737 MAX is that analyst sentiment deteriorated, which shouldn’t come as a surprise. This stepdown in sentiment was expected, but it remains to be seen whether going forward, with fixes implemented and a return to service for the MAX, this negative sentiment will endure. 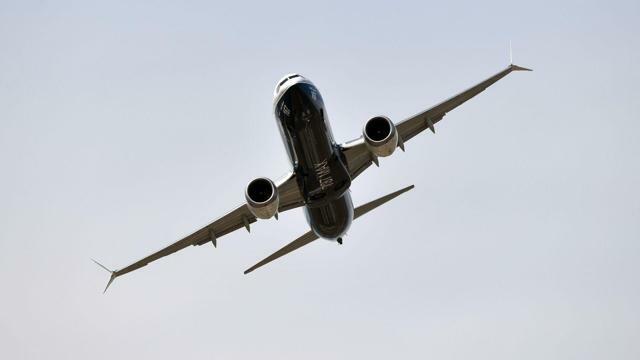 During the month of March, the crash with the Boeing 737 MAX captured most attention. Boeing shares declined in value after the crash on fears that there is a design flaw on the Boeing 737 MAX. In the aftermath of the first crash, I already pointed out that the MCAS design might not have been robust and that it was unclear as to how this part of the speed trim system was certified by the FAA and aviation administrations around the globe. While I consider this a shortcoming on Boeing’s side, even with a preliminary report out, it is not clear why the pilots flew the aircraft at a very high speed which might have made regaining control over the aircraft nearly impossible. Currently, Boeing is working on a fix, which will likely be closely eyeballed by administrations around the globe because confidence in Boeing as well as the FAA has been severely dented. Until the fix is approved, the fleet of Boeing 737 MAX aircraft will remain on the ground and no deliveries will occur. The crash is likely going to impact Boeing’s earnings for the simple reason that the grounding is costing money, possibly beyond the amount Boeing is covered for by insurers, and revenue is being delayed due to the production stop resulting in working capital increases. In the aftermath of the two crashes, Indonesian carriers are looking for cancellations of their direct orders for the MAX with Boeing and agreements with lessors while Boeing is being probed. The only other noteworthy news item regarding commercial aircraft was the order for 20 Boeing 787-9s from Lufthansa (OTCQX:DLAKF). Boeing had been battling Airbus for an order for months, and Lufthansa eventually ended up splitting the order between both jet makers. Fitting its after-sales and digital solutions strategy, Boeing acquired ForeFlight, a leading provider of innovative mobile and web-based aviation applications. ForeFlight has partnered with Boeing for the past two years to bring aviators Jeppesen’s aeronautical data and charts through ForeFlight’s popular mobile platforms. 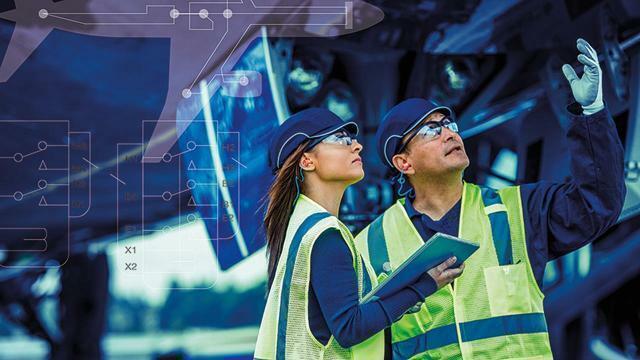 Now, the teams will integrate talent and offerings to bring innovative, expanded digital solutions to all segments of the aviation industry. In March, there was no notable news for Boeing’s Global Services division. For Boeing Defense, there were a couple of news events. A program capturing some negative attention was the KC-46A. In February, the USAF stopped accepting tankers from Boeing as foreign object debris was found inside the tankers. Deliveries resumed in March, which should have been a good thing were it not that the USAF halted deliveries again in early April. While the second delivery stop is an April news event, I think it is important to highlight it in this report, which covers the March news events as well. More positive news came from Boeing’s F-18 fighter jet program. Boeing was awarded a three-year contract award for 78 F/A-18 Block III Super Hornets. The contract is valued $4B and is expected to save US taxpayer $395 million. A major milestone was also achieved by the Sikorsky-Boeing SB>1 DEFIANT; The Sikorsky-Boeing SB>1 DEFIANT™ helicopter achieved first flight. The helicopter is participating in the Army’s Joint Multi-Role-Medium Technology Demonstrator program. Data from DEFIANT will help the Army develop requirements for new utility helicopters expected to enter service in the early 2030s. 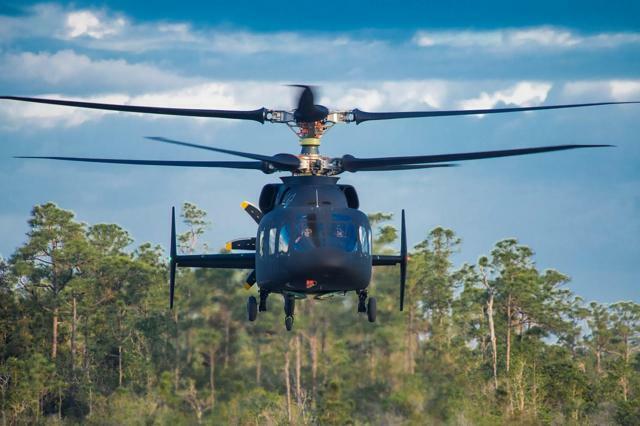 This flight marks a key milestone for the Sikorsky-Boeing team and is the culmination of significant design, simulation, and test activity to further demonstrate the capability of the X2 Technology. X2 Technology is scalable to a variety of military missions such as attack and assault, long-range transportation, infiltration and resupply. DEFIANT is the third X2®aircraft in less than 10 years. During the month, there also was a milestone for the Ground-based Midcourse Defense [GMD] system as the US Missile Defense Agency and Boeing for the first time launched two GMD system interceptors to destroy a threat-representative target, validating the fielded system protects the United States from intercontinental ballistic missiles. Without doubt, March was a bad month for Boeing. For a company’s share to perform well, you ultimately need a good product, coupled with good execution or you need good execution to make a good product. With the second crash of a Boeing 737 MAX, it does seem like Boeing has failed miserably on the execution part, which I expect will affect their current year performance. Boeing had some highlights as well with a milestone order from Lufthansa and a production contract for its Super Hornet fighter, but not nearly enough to mitigate the pressure the Boeing 737 MAX cash cow is currently putting on Boeing. During the month of March, Boeing’s market cap declined by $33.4B. This decline cannot be fully explained by closing math (there is no calculation to support the cap decline), but such a big decline in market cap is perfectly understandable, given the importance of the Boeing 737 program to Boeing and the uncertainty regarding the aircraft. I expect that the Boeing 737 MAX will eventually be approved for flight again, and as investors and stakeholders around the world regain confidence, Boeing should see recovery in its market cap. In fact, in the first days of March, nearly $9B in market cap was recovered. At the end of the day, Boeing should be learning lessons from this. If you enjoyed reading this article, don’t forget to hit the “Follow” button at the top of this page (below the article title) to receive updates for my upcoming articles. Disclosure: I am/we are long BA, EADSF. I wrote this article myself, and it expresses my own opinions. I am not receiving compensation for it (other than from Seeking Alpha). I have no business relationship with any company whose stock is mentioned in this article. In a previous article, we argued that an economic slowdown is at risk of turning into a full-blown recession. We believe that the risk of a recession in the next two to three years is extremely high. Therefore, we want to move into a more defensive position with our portfolio, but we do not want to become overly defensive. Equities often rally, and sitting out of the market has an opportunity cost. Interest rates have only one way to go in this kind of environment and that’s down. When economic growth slows down, relying on capital gains for income becomes increasingly difficult. This is where income products come in very handy for investors and retirees. This is where REITs come in as an ideal part of structuring a portfolio that will have stable income through a recession but will continue to provide upside in an environment where interest rates are headed lower. 2008 was a real estate driven recession, and while many REITs had significant drawdowns and dividend cuts, others proved more resistant. Some REITs even continued increasing their dividend throughout the recession. Here’s a look at REIT sectors we believe will outperform. Net lease REITs had solid performance through the last recession. While everything experienced a drawdown in price, quality net lease REITs maintained or even increased their dividend. Net lease REITs have the benefit of a very simple structure and virtually no required expenses. With “triple-net” leases the vast majority of property level expenses like maintenance, upkeep, and taxes are the responsibility of the tenants. 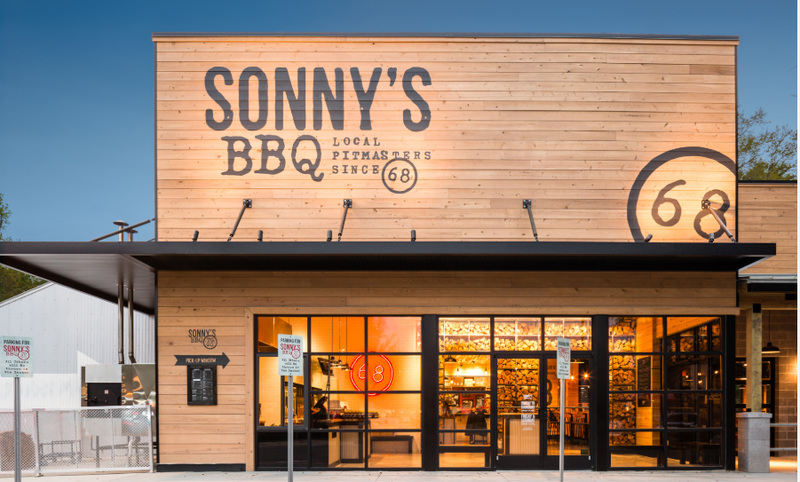 The beauty of this simplicity is that it can be applied to all sorts of businesses, from restaurants, convenience stores, banks, pharmacies, auto mechanics, fitness clubs and much more can be found in net lease portfolios. This significantly reduces the risks of a particular tenant sector performing poorly. On the revenue side, the leases tend to be long term, often 10-20 years, with built-in escalators and automatic renewal options. The rent is generally fixed and does not have any variable components. This provides a very predictable rent level for the tenant and the landlord regardless of macro-economic conditions. When a recession hits, this means that rents and property level expenses both remain stable. The main negative impacts come from tenant defaults, a harder time leasing vacant properties and a lack of acquisition targets. Net lease REITs tend to be highly diversified across tenants, the properties are attractively located and can often be repurposed or sold to recover the underlying land value if a tenant leaves at the end of the lease. The bottom line is that the fundamental business of their tenants is usually tied to the buildings they are renting. Net lease REITs further protect themselves by entering into “master lease agreements,” these types of agreements will often span dozens of buildings and the tenant is required to pay rent for all of them, even when they close a location. If the tenant defaults on one location, they default on all of them and risk eviction. Nothing short of bankruptcy is going to create a material risk for the landlord. During a recession, a REIT might have a higher percentage of tenants leave when a lease expires and have a harder time finding a replacement tenant. To mitigate that risk, net-lease REITs keep a smooth schedule of lease expirations. Typically, net lease REITs only have 5%-10% of gross rental revenue expiring each year. This structure means that when a recession hits, the REIT can just hunker down and maintain most of their current cash flows, then be ready to start acquiring new properties at the early signs of recovery. We are currently invested in several of these names in our Preferred Stock Portfolio. Some of the best names in the sector include the old guards: Realty Income (O), WP Carey (WPC) or National Retail (NNN) will definitely be on our radar during a recession because we would love to add at a steep discount, but they are at a premium today. Spirit Realty Capital (SRC) or Vereit (VER) are two great companies that did not exist last recession, but both have strong triple-net portfolios and are trading at attractive prices. As noted above, we have been recommending to our investors to buy Preferred Stocks within the “Net Lease” space that are rock solid and are issues we want to hold through any recession for safe income. Self-storage REITs also set themselves apart as recession resistant as fundamentals held up through the recession. Like net-lease REITs, self-storage benefits from having very low expenses. Often their largest property level expense is property taxes. Self-storage demand has proven to be recession-resistant as people either need self-storage or they don’t. The macro-economic conditions have little to do with it. The main risks for self-storage are competition and overdevelopment saturating a market. These are issues that can and do occur in both good and bad economic conditions. Large, diversified public storage REITs are going to provide more stability than smaller, more concentrated storage REITs. Opportunities in the sector are thin right now among common shares, as the sector’s solid reputation has pushed valuations higher. Some of the best names are Jernigan Capital (JCAP), National Storage Affiliates (NSA) and Public Storage (PSA). 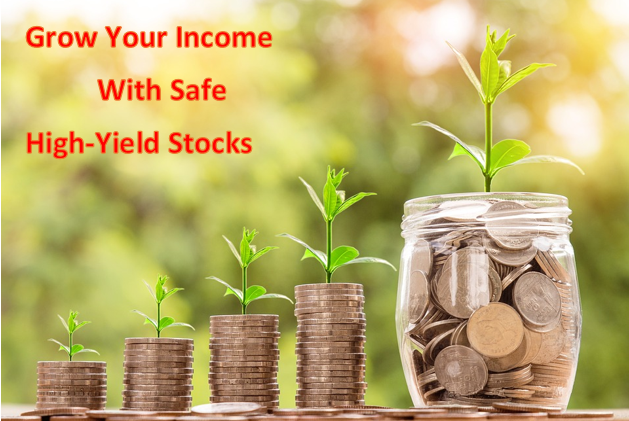 There are several other rock solid preferred stocks such as JCAP.PB that conservative investors and retirees will want to consider holding through a recession for a high and safe income. Residential REITs were strongly impacted at the beginning of the last recession, but their prices quickly rebounded. People didn’t move just because there was a recession. Rent is inherently sticky and very rarely moves down. A recession might cause a slight uptick in delinquencies, but overall, people generally prioritize paying for the roof over their head. Our favorite residential model is mobile home REITs. 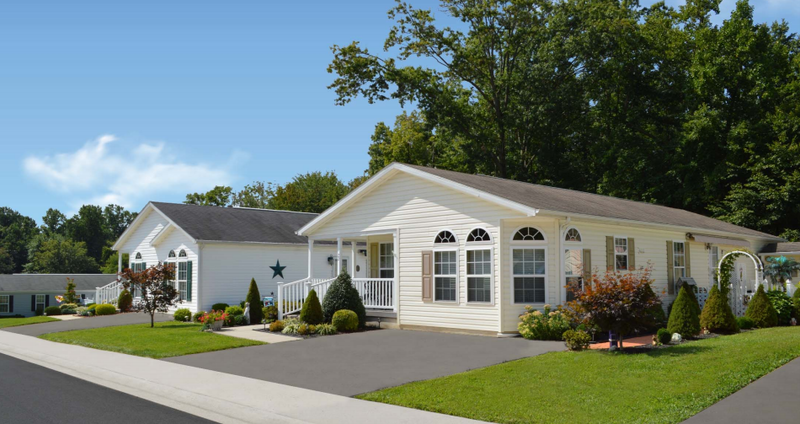 Mobile homes have an advantage over apartments in that the landlord is primarily responsible for maintaining the lot as opposed to having to spend on maintaining buildings. This allows the business to be very high margin compared to their apartment peers. During a recession, mobile homes already are the “cheap” option. That lowers the risk of tenants leaving to downsize. The tenants often own the home, so they have little incentive to leave it. Since rental revenue tends to be very stable, mobile home REITs tend to be extra sensitive to interest rate fluctuations. As interest rates drop, they stand to benefit. Some of our favorite picks in this field is UMH Properties (UMH) which had a huge run and is a bit expensive now. We also like apartment REIT Bluerock Residential (BRG) and single-family home REIT American Homes 4 Rent (AMH). Again here, conservative income investors may want to consider preferred stocks issued by residential REITs to maximize the safety of the income and lower price volatility. Our focus is on looking for investments which will provide a high level of income regardless of whether or not there’s a recession. Since predicting the exact timing of a recession is very difficult, we also want investments that have potential capital gains as well. The REIT structure provides investors with a selection of companies that can meet those goals. REITs center around cash flow and distributing a substantial portion of that cash flow to investors. As long as a REIT has taxable income, they have to distribute at least 90% of it. Many REITs distribute more than that. This makes REITs less likely to suspend their dividend. Dividend cuts for common shares can and do happen. As income investors, we look for reliability of the dividend in good and in bad times. Therefore we seek to reduce our exposure to potential dividend cuts by focusing on REIT sectors, and more specifically preferred stocks of REITs, that provide much more stability and a higher safety for the income. The key things we want to look for are stability in revenues and stability in expenses regardless of economic conditions. 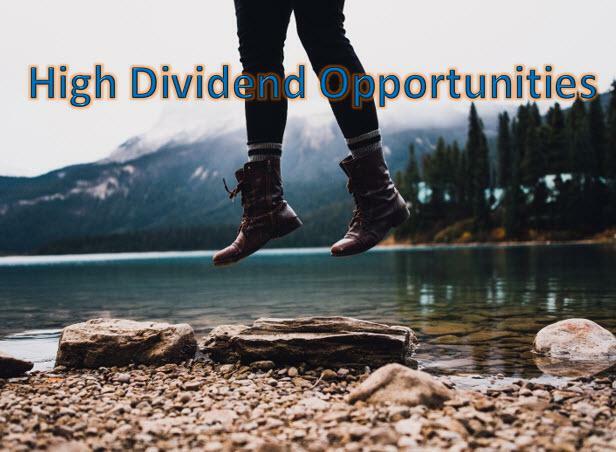 We recently highlighted to our investors (members of High Dividend Opportunities) 10 preferred stocks with exposure to these sub sectors that conservative investors should buy and hold for the very long term and can be held through a recession for the safety of the income. Net lease REITs, self-storage REITs, and residential REITs all outperformed the average last recession and their fundamental structures create less volatility in revenues and expenses. We believe all sectors will benefit from falling interest rates and will have stable cash flows through a recession. We have strong exposure to all three sectors in our preferred stock portfolio precisely because they are reliable. As we slowly move to a more defensive position, we will be looking for opportunities to invest in common shares in these sectors at attractive entry points. Thanks for reading! If you liked this article, please scroll up and click Follow next to my name to receive future updates. 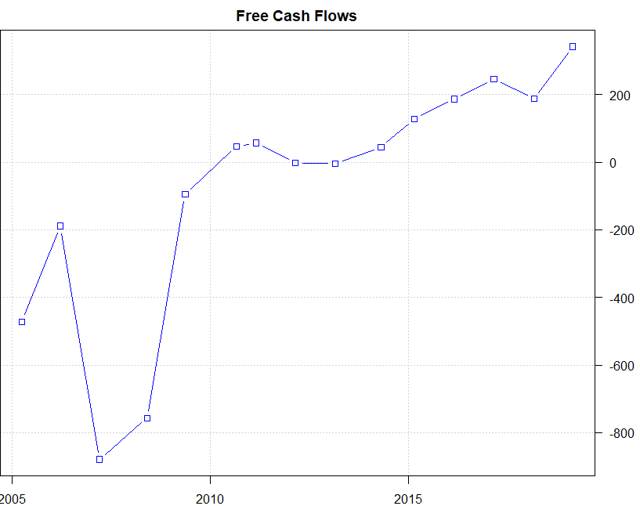 We are the largest community of income investors and retirees with over 2200 members. We recently launched our all-Preferred Stock & Bond portfolio to cater for conservative income investors. Disclosure: I am/we are long JCAP.PB, BRG.PC. I wrote this article myself, and it expresses my own opinions. I am not receiving compensation for it (other than from Seeking Alpha). I have no business relationship with any company whose stock is mentioned in this article. BEIJING (Reuters) – President Xi Jinping called upon New Zealand on Monday not to discriminate against Chinese companies during a meeting with Prime Minister Jacinda Ardern, whose country has rejected a bid by Chinese telecom giant Huawei to build a 5G mobile network. This index, almost by necessity, oscillates. 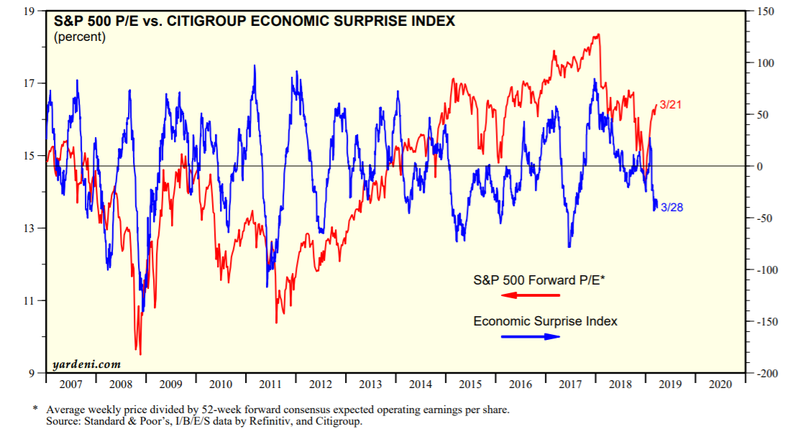 As earnings continue to disappoint, analysts will inevitably lower their expectations, in turn creating an environment of more positive earnings surprises. This is bullish for the market, especially for companies reporting earnings in the coming months. When earnings surprise, stocks rise. This is true even when stocks are perceived to be expensive. Those who are concerned with the inflated equity costs should be comforted to know that we are still in a bull market. 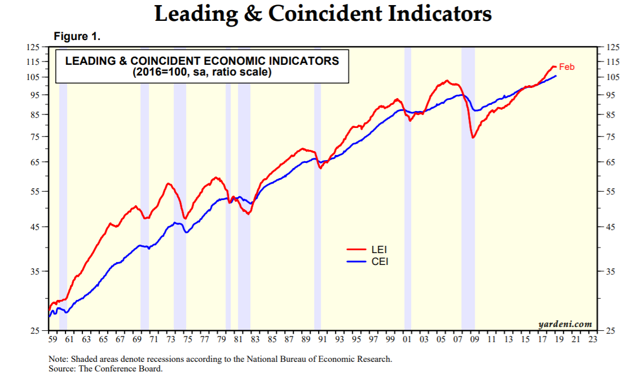 Leading economic indicators tell us not to worry just yet. For example, ISM New Orders show continued growth in customer demand – 38 consecutive months of growth, in fact. 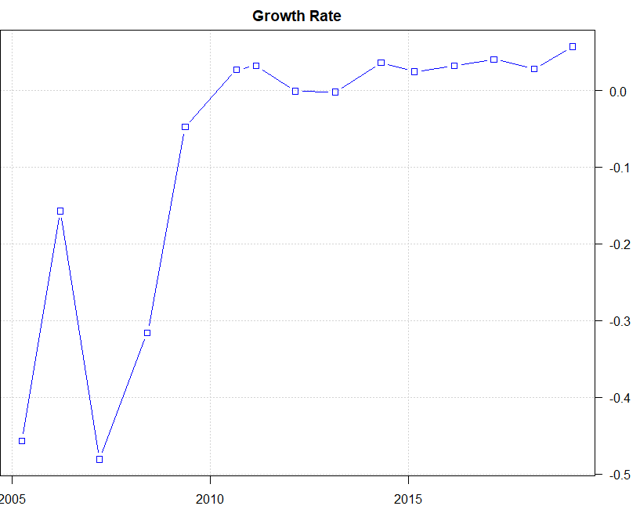 We might be seeing slower growth, but we still see growth. 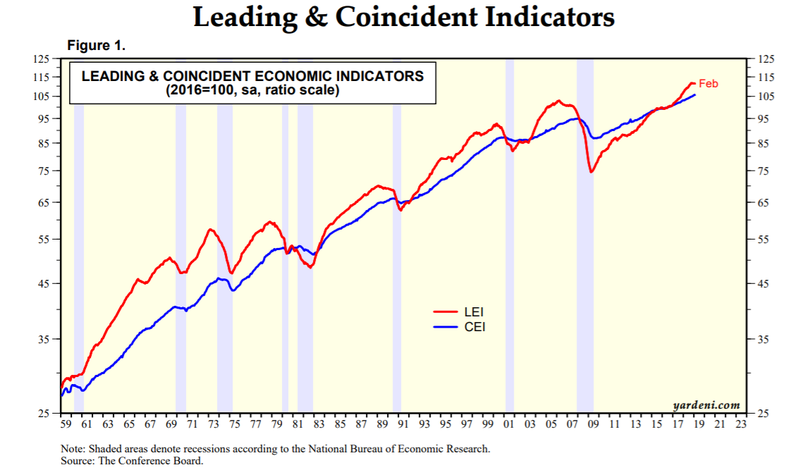 Eventually, the top will be in, and leading economic indicators will start to decay before the next recession. For now, the economy is as strong as ever but with slowing growth. Because the economy influences company earnings and because the economy is still strong, the Citigroup Economic Surprise Index being low is likely the result of analysts’ expectations being too high. With growth slowing, this makes sense. Analysts have been assuming the fast growth in corporate earnings will continue, neglecting the slowdown in economic growth. At this point, the risk/reward curve begins to become concave, meaning that the downside risk is beginning to outweigh further upside reward. From here, we will likely see lower volatility as the market makes its way up to a peak for this bull market. Before we hit the recession phase of the business cycle, we will likely see another rally, but one of much lower volatility and speed than the post-December rally. The bull market is not over. With foreign economies clearly being deep in the slowdown phase, the US market is one of the last places for bulls. Yet the fact that the economy is slowing down means investors should be rebalancing their portfolios for the sake of maintaining alpha. This company falls in the “industrials” sector. This is a B2B service company – or set of companies, rather. 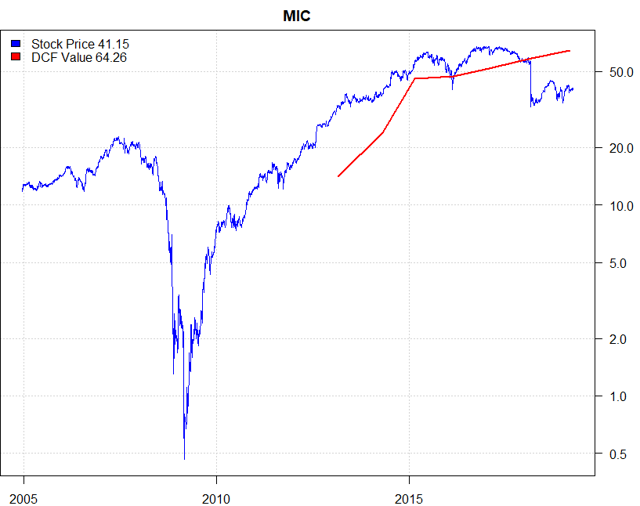 You can see that MIC was not underpriced until the last selloff. 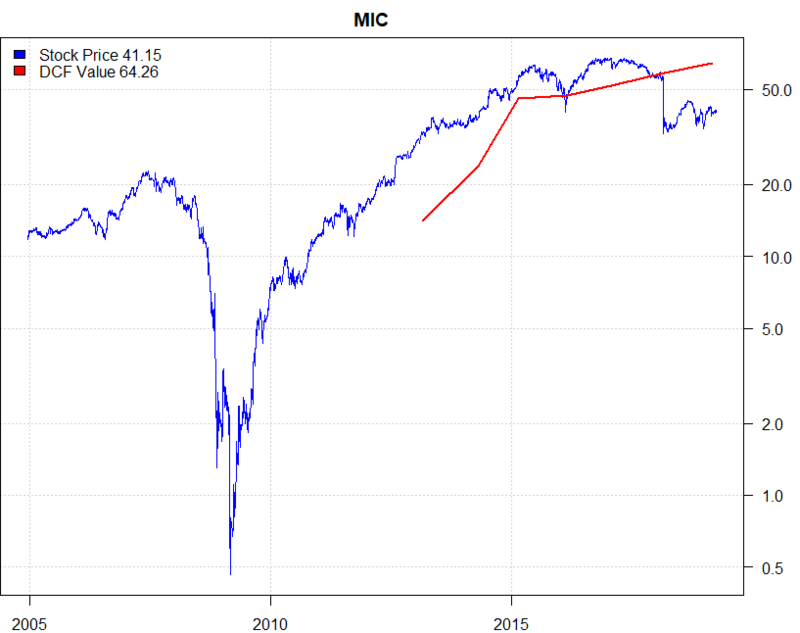 My chart only generated a buy signal in 2018. The valuation implies a 60% upside. One key reason for my choice of MIC is its mispricing. Yet once the gap fills, the post-earnings drift will be officially over. Get in on this one early for some excess returns and to lock in on the company’s 10% dividend yield. This food and beverage company falls in the “consumer staples” category. It attracted my attention last month with an odd earnings reaction. The company reported a revenue decline of over 10%, causing the stock to fall. I dug into the earnings call transcript to see if I could find anything of interest. Lexical analysis is useful here. Proper financial lexical analysis can generate management sentiment, which is a predictor of a stock’s price over the coming month. THS’s earnings calls were quite interesting. Rarely does a call contain more pessimism than optimism. However, THS was the rare exception for most of this and last year – except for the recent quarter. Its most recent earnings call was roughly as optimistic as the average company. Because the previous quarter and year showed negative sentiment scores, I cannot make a comparison. Suffice to say, management is indirectly pointing to an inflection point in the company. – A tangible factor for the recent turnaround in sentiment. – A continued focus on problems. Should the company again succeed, we will likely see another quarter of strong sentiment, implying upward pressure on the stock price. THS has outperformed the US food market to a great extent: 68% annual returns versus -4%. Yet my analysis hints that mean reversion is still underway, as the company still has a lower price-to-book than the average food stock. The company is expected to see a 60% earnings growth over the next year, making now a good entry point. Because THS does not offer a dividend, you can use options instead for this play. I recommend the Aug 16 $60 calls. These have a delta of 100, allowing you to fully mimic holding 100 shares of THS per contract at a cost of around $650 and with minimum theta decay. This company falls in the “healthcare” category. Investing in MDGL gives you exposure to a pipeline of cardiovascular, liver, and metabolic treatments. The stock is trading at under half its previous price because shares were diluted via a public offering for the sake of raising capital. This capital will be used to finance the company’s pipeline. The timing was smart: just before a slowdown. The company will be able to focus on its pipeline with little regard to decaying economic conditions. The options market is pricing the stock at $130, which is slightly above MDGL’s current price. I, too, see the stock as undervalued. Over the past year, MDGL has outperformed the biotech sector with 8% returns versus -1% returns. Since 2016, MDGL has had no long-term debt and can cover its short-term debt with its current cash and assets. With its moat of cash, MDGL can continue working on its pipeline without worrying about earnings. A strong clinical trial result or two should draw investors into this company, and the stock will rally in response. This stock is more of a gamble than the other two, so do look into the pipeline to see if anything strikes your fancy. Biotech stocks are notoriously hard to predict, and so my philosophy is to bet on those that are (1) outperforming the sector, (2) have a decent pipeline or high-sales product, and (3) are financially healthy, whether that mean strong earnings or enough cash runway to support the pipeline. If you want to play this without putting too much capital at risk, I suggest the June 21 $130 call options. If the option market’s prediction is correct, these contracts are currently underpriced. 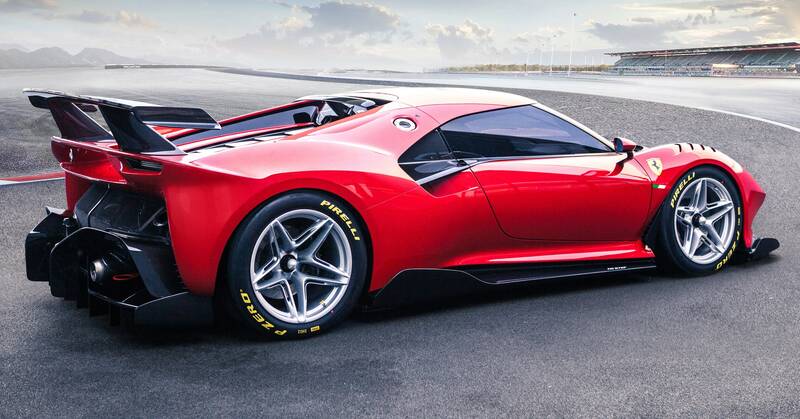 Aim for roughly 25% ROI over the next quarter and roll the options over quarterly. The US economy is at peak growth. From here, it will soon (or already has by some measures) enter into the slowdown phase of the business cycle. During this phase, three sectors show excess returns: industrials, consumer staples, and healthcare. While you could simply buy ETFs in these sectors, if we are to seek alpha, we should look for stocks that are to outperform in these sectors. Thus, we gain excess returns upon excess returns. I gave my three picks, one from each sector. We have MIC, an industrial with strong growth; THS, a food company that is at an inflection point, having solved many of its major problems, and a management, which has recently traded pessimism for optimism; and MDGL, a biotech company that is cash-rich and focusing on its pipeline. All things being equal, holding these companies in your portfolio during the inevitable slowdown will produce alpha. Happy trading. Exposing Earnings is an earnings trade newsletter (with live chat) that is based on statistics, probability, and backtests. My models are unavailable anywhere else online, as I designed them myself, keeping the code private for Exposing Earnings subscribers and myself. If you want a definitive answer on which way a stock will go on earnings, the probability of the prediction paying off, the risk/reward of the play, and my specific options strategy for the play, click here.